Are you a solopreneur looking to take your business to the next level? Do you know what you want to do, but are overwhelmed by how you are going to get there? Or is there something you need to work on, but you don’t know where to start? Business coaching may be just what you need. 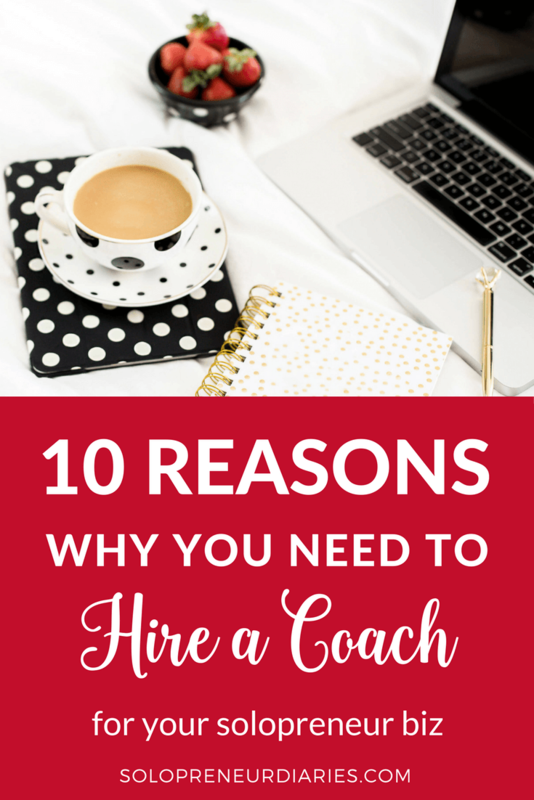 If you’ve never thought about coaching, then read on for 10 reasons why you need to hire a coach for your solopreneur biz. Let’s face it. This solopreneur gig can be lonely. If you’re like me, you used to work in an office with people. You could bounce ideas off them, ask for advice, or just talk your way through a problem. But in the solopreneur world – especially if your business is online – there may not be anyone you can talk to who “gets” what you do and who can offer pertinent advice. A coach can be your sounding board and provide guidance for strategy and tasks to make your business successful. Have you heard the expression “can’t see the forest for the trees?” When you’re immersed in your business (and we all are) it can be difficult to see where the problems – and the solutions – lie. A coach serves as an impartial third party. She can often see trouble where you don’t and can spot opportunities that you’ve missed. A business coach can offer you a big picture view of your business that you may have been missing. Do you feel like you are going in a thousand directions, trying to do #allthethings? A coach can help you clearly envision your goals and the path to achieving them. 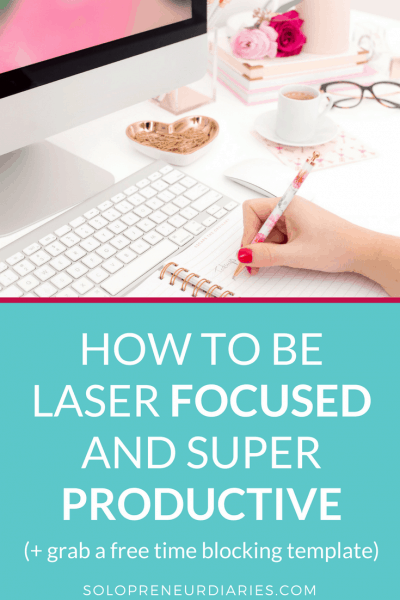 Or do you struggle to stay on task and have dozens of projects almost finished? A coach can cut through the noise and help you focus on what you need to do to get to the finish line. When you work for someone else, then you usually have deadlines to meet and those deadlines force you to be productive. But as a solopreneur, you may not have hard deadlines, so you find yourself dragging things out. When you work with a business coach, you have a fixed deadline for implementing suggestions and achieving your session goal. That deadline is your next session! When you work alone, it’s easy to fall prey to negativity. Coaching supports you with positive energy. Coaches are positive people who focus on what you can do. There is nothing like someone telling you that “you can do it!” to fill you with hope and energy. Business coaching can grow your business by holding you accountable for the goals you’ve set. If you choose not to take action or implement a suggestion, you are going to have to explain this decision to your coach at your next session. The first coach I hired had weekly check-in calls where I had to report out on the progress made toward my three main goals from the prior week. You’d better believe I made sure to get those three things done because I didn’t want to make excuses on our call for why I didn’t. Business coaching is not for beginners. Your business should already be in place and you should be sure that coaching will fit into your budget. You should feel ready – impatient even – to step out of your comfort zone. Coaching is a next-level strategy. Have you been endlessly searching Pinterest for tips and cobbling them together in a plan that may or may not work? Time is money. Studies have consistently shown that people who invest in coaching make more money in a shorter time frame that those who don’t invest in coaching. A business coach offers you the benefit of her experience for finding solutions to your current situation. Are you stuck in analysis paralysis? You can analyze and strategize until the cows come home, but if you don’t take action, then you are throwing time and money away. A business coach will help you sort through the information and create an effective and motivating action plan so that you get the important work done. Hiring a Coach that is a little farther down the road than you is one of the best decisions a solopreneur can make. I feel that I will always have a Coach no matter where I am in my business because there is so much added value as your post indicates. And sometimes you lose motivation or just draw a blank. Your coach will keep you focused steadfast on your goal and keep you in the press..great share! So true, Adrien. Thanks for commenting!